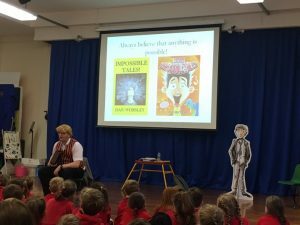 A busy week saw three school visits squeezed into a few days. The first stop was Our Lady of the Assumption Primary. I have visited the school many times stretching back to the start of my writing adventure. 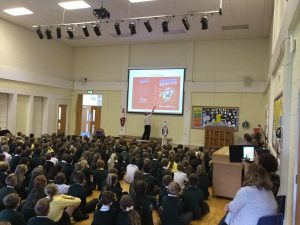 During the author assembly, the Y2 – Y6 pupils discovered how Danger Zone was created, from the initial plan to the final draft. They even got to see Martin’s mega illustrations through the different stages of development. 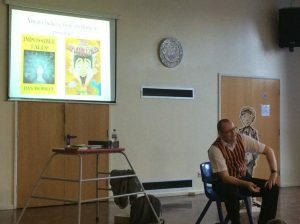 To close the session, I put on the storytelling waistcoat to share one of the Impossible Tales. A cracking morning! 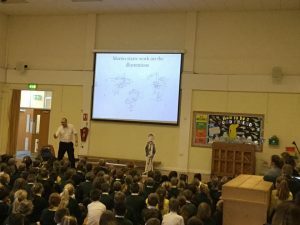 My second assembly visit was to Norbreck Primary Academy. I’ve visited Norbreck many times and it’s always a lovely, welcoming place. 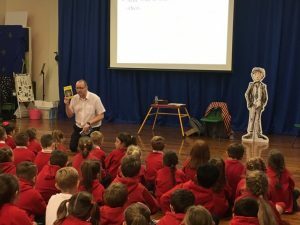 The children found out all about Eric’s new adventure and it was a fab session! The final visit of the week was to Manor Beach Primary. 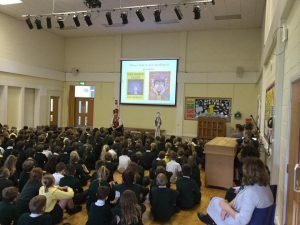 I had a great time sharing Danger Zone with the KS2 pupils. Afterwards, I stayed to speak with Year 6. The children were working on biographies and they had decided to write mine – awesome! I answered lots of questions whilst the pupils made notes and it was lovely to read some of the fab biographies the following day. 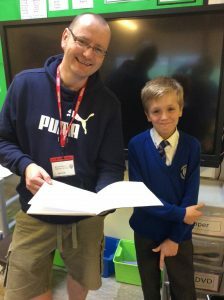 I enjoyed my time in all three schools and would like to thank Mrs Burrows, Mrs Hancock and Miss Davies for organising the sessions and the accompanying book signings.